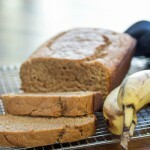 My mom had a Sunday tradition of making homemade banana bread. We anxiously waited for the timer to go off and then fought over who got the first piece of warm banana bread. 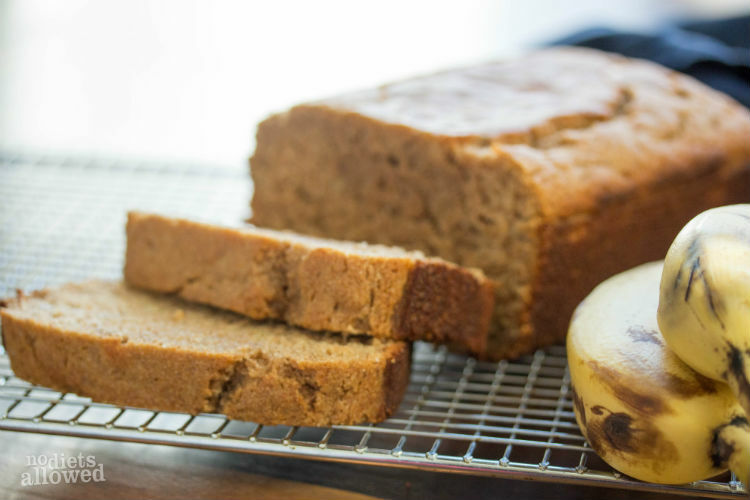 Well, I love my mom and her banana bread, but all the sugar in her recipe? Not so much. 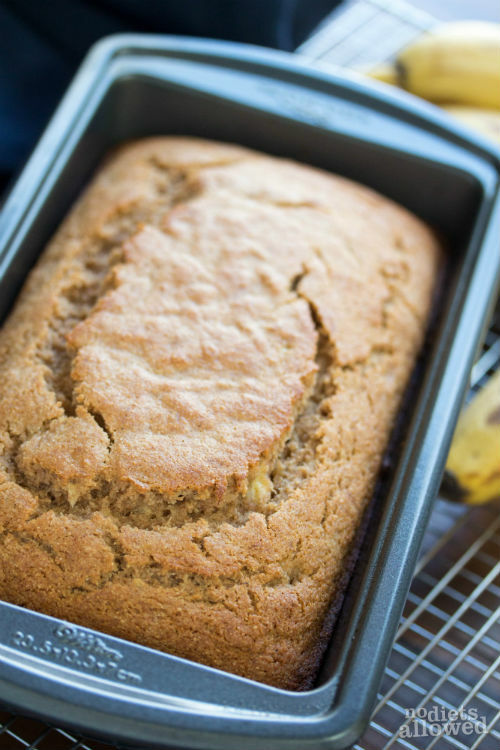 Well, now you and I can enjoy fluffy, moist, and sweet banana bread minus the cups of sugar. My husband just finished half the loaf… so I think it’s a winner. Please forgive me for being a broken record, BUT I feel like I would be doing you a disservice by not mentioning whole wheat pastry flour. A talented caterer friend of mine (hi Haley!) introduced me to pastry flour. I was getting frustrated with whole wheat and it turning my baked goods into bricks. White flour and highly processed flours, of course, were out. I tried this flour and now ONLY use this flour. 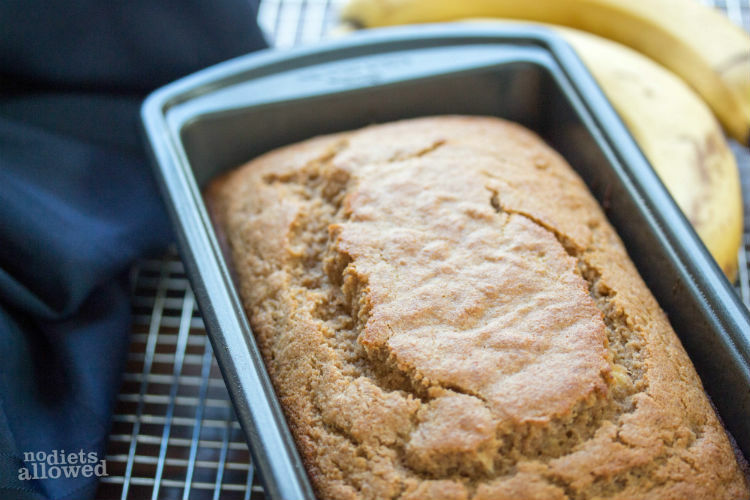 Whether it’s my Banana Muffins or Multigrain Waffles, this flour will not disappoint. Combine flour, baking powder, cinnamon, and salt in a medium-size bowl. Set aside. Blend together eggs, oil, applesauce, honey, and vanilla. I HIGHLY recommend a Vitamix! It will make your life so much easier. Pour wet ingredients into dry ingredients and mix well. Fold in mashed bananas. Spray one large loaf pan (8.5 in x 4.5 in) lightly with cooking spray. Pour batter into prepared pan. Bake for 35 to 40 minutes or until toothpick inserted into the center comes out clean.